Otters Cottage is an end-cottage part of a barn conversion, overlooking farm fields with views toward Skiddaw. 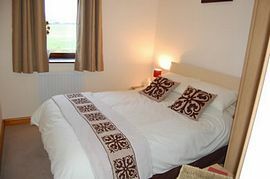 The cottage sleeps four people and has been renovated to the highest standards. 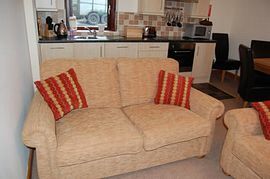 Lounge/Dining Area, with two settees, dining table and four chairs, Electric fire TV DVD and separate radio. 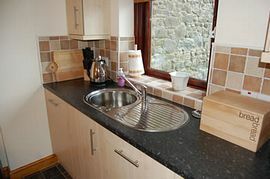 The Kitchen Area is fully fitted with an electric cooker, dishwasher, fridge-freezer and microwave. A Utility Room with ironing facilities. Master Bedroom, with double bed. Twin Bedroom, with two single beds. 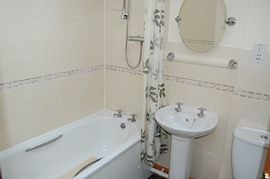 Bathroom, with shower over bath, toilet and wash-basin. Washing and drying facilities can be found in a separate shared laundry. Outside there is plenty of parking, plus garden patio furniture and BBQ. Linskeldfield Farm is a working farm with over 200 acres of land and 18,000 free range chickens. The farm is a bird watchers paradise with a twelve man bird watching hide and tarn. Beautiful Four Star Holiday Cottage. Located on a working farm. To the front of the cottage is an area complete with garden patio furniture and BBQ overlooking beautiful farm fields. Weekly prices £280.00 - £495.00. 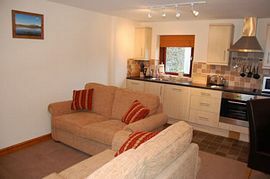 Short Breaks are available please contact us for more information.